If you like 'new ship smell', you won't want to miss the opportunity to experience some of your favorite Caribbean ports of call this winter – in a shiny new cruise ship. A number of new cruise ships made their entrance on the cruising scene this spring and summer in Europe. But as temperatures cool, they start their migrations, repositioning to the Caribbean for a sunny tropical winter cruise season. No matter your cruising style, there's a new ship to enjoy the islands this winter. Regent Seven Seas Explorer made a glamorous debut in Monte Carlo mid summer. She was christened by royalty, (Princess Charlene of Monaco) and explored the Mediterranean through the summer and fall, heading for Miami in November for its inaugural Caribbean season. 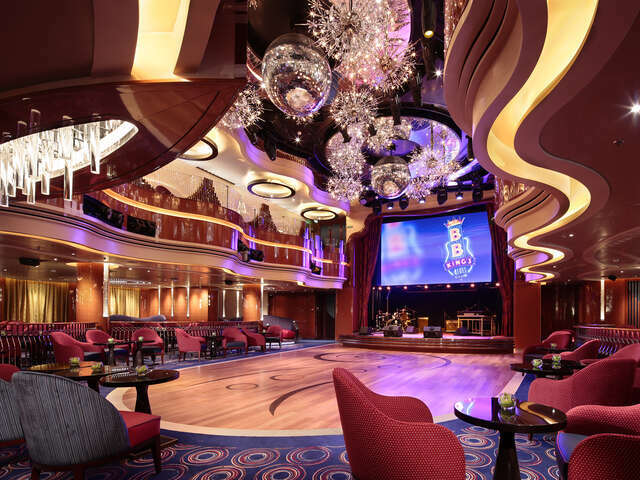 You'll be joined by only 750 privileged guests in a glittering, all-suite, all-balcony environment on a ship that's been called 'the most luxurious cruise ship ever built'. (Its Regent Suite is as spacious as any resort on shore, nearly 3900 square feet of exquisite design, with two bedrooms and even an in-room spa!) Guests may choose to dine in six fine dining venues, and enjoy the ship's two-story theatre and Culinary Arts Kitchen cooking school. Like other top end luxury cruise lines, the fare is all-inclusive, with packages that may include air, wine and spirits, shore excursions, wi-fi, gratuities and more. Have you been keeping track? 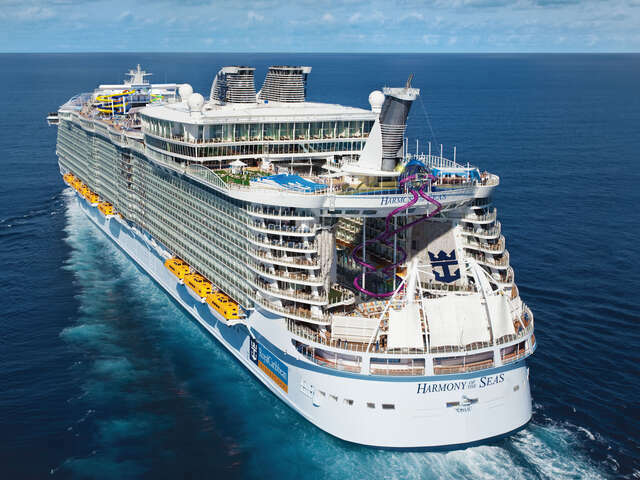 Royal Caribbean's latest Oasis-class ship, Harmony of the Seas, is now the largest ship in the world, at an amazing nearly 1187 feet in length. This wonder of maritime engineering has been cruising in the Mediterranean since her launch in June, and repositions in November to her new permanent homeport of Fort Lauderdale, Florida. From there, she'll take nearly 5500 guests at a time on Caribbean itineraries. Hard to list in just one paragraph. Guests flow through the ship's immense space in seven distinct neighorhoods, where you have the opportunity to experience some of Royal Caribbean's favorite experiences and some new ones: 20 restaurants; FlowRider surfing simulators; a zipline and jungle gym, an AquaTheater for diving shows; a waterslide; a water park if you can picture your kids or your inner child having a blast with water cannons; a drench bucket; two climbing walls; and an ice-skating rink. The question is whether a 7-day itinerary gives you enough time to begin to explore the whole ship, let alone experience it all. You might want to consider back-to-back Eastern and Western week-long itineraries to spread out this much excitement over two weeks! 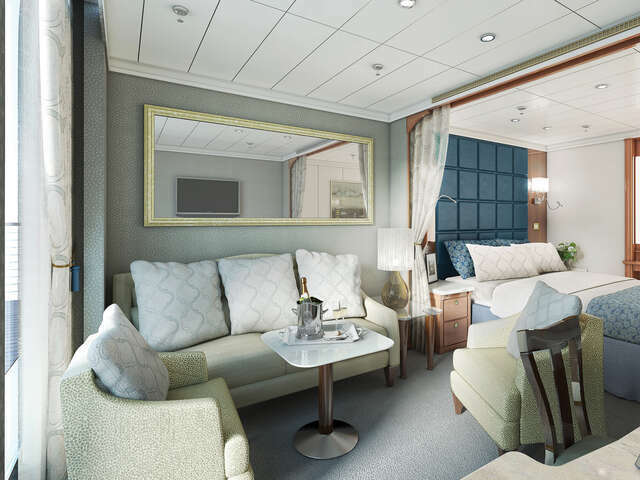 The first of HAL's new Pinnacle-class ships is the largest Holland America Line ship to date. When it debuted in May, christened (as is the tradition for the line) by Dutch royalty, the Koningsdam was praised as a new era for HAL. After a season sailing in the Mediterranean, in November, she arrives in her new homeport of Fort Lauderdale, Florida for winter and spring Caribbean cruises. The Koningsdam ushers in a new era of fresh, celebrity design for the quietly elegant cruise line. Design innovations include new, upscale suites, including family units, and a top deck with a stunning pool with fountains and whirlpools. You'll be among 2650 guests enjoying some acclaimed dining experiences (always a HAL strong point): an intimate new seafood brasserie, exquisite garden-to-table cuisine (thanks to its glass-enclosed growing space), even a wine-making venue, BLEND, and new entertainment venues. The Koningsdam's 'Music Walk', features different nightly performances in three venues: Lincoln Center Stage (featuring world class performers as a result of the partnership with the famed Lincoln Center), Billboard Onboard, and World Stage. 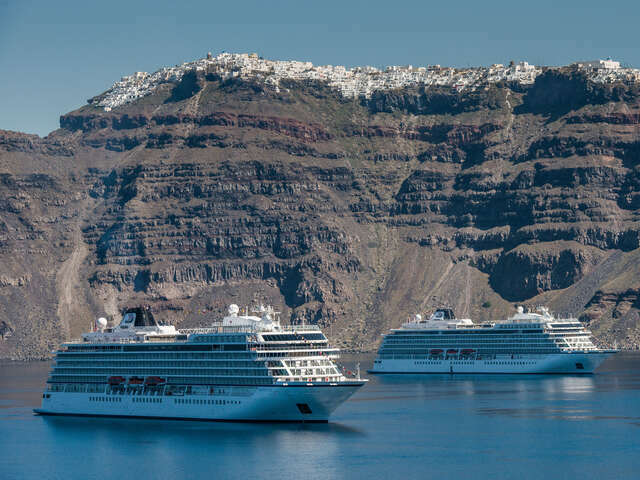 The Viking Star is an honorary member of this group, since it launched as the first of Viking's ocean cruise ships in the spring of 2015. So technically, she's over a year old now, unlike the other ships on this list that launched this year. But she is crossing the Atlantic for the first time when she makes her way to Montreal this fall, then on via the Eastern Seaboard to New York, finally repositioning to San Juan to spend the winter in the West Indies before returning to Europe in the spring. If you're a fan of Viking's river cruise ships, you won't want to miss the opportunity to experience its first foray into ocean cruising while the Viking Star is this close to home. The 930-guest Viking Star features the same, unique, Scandinavian modern design you've come to expect from all of this Norwegian company's ships, but in a larger ocean cruising format; all veranda staterooms; a LivNordic Spa, which includes a Snow Grotto; The Wintergarden for afternoon tea; multiple dining venues; and Viking’s Culture Curriculum for onboard learning.